At Mayor’s Question Time on 10th August 2017 the Mayor confirmed that the proposed crossing is within his draft Transport Strategy and the TfL Business Plan. The Mayor explained they are exploring various options including a tunnel, ferry or opening bride to validate the technical parameters and constraints and once a preferred crossing has been established consultation leading to a tender process to select a successful contractor will then begin. reForm and Elliott Wood began our work on Rotherhithe Bridge as a ‘self-start’ project with no client, brief or fee. So, after over four years of work, building up our local and technical knowledge we are delighted this much needed crossing is edging ever closer to reality. 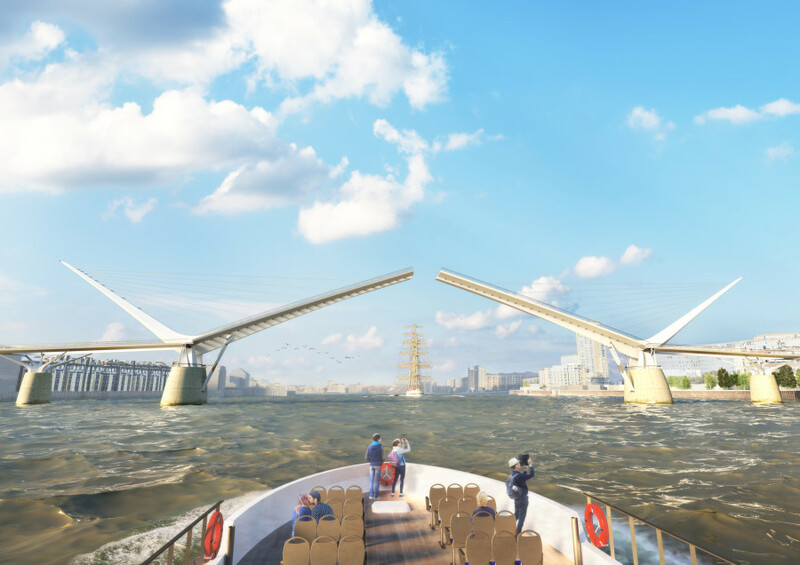 Along with Elliott Wood, we have assembled a complete design team that is ‘ready to go’ including the exclusive support of the world renowned Buro Happold bridge team. We believe an opening bridge is the only viable option and are looking forward to bidding in the tender process in due course.